We liked the look of pizzazz and uniqueness that these wooden crates added to outdoor living spaces & gardens. But with weather and time these crates would soon break down to broken pieces of wood and lose its original appearance. 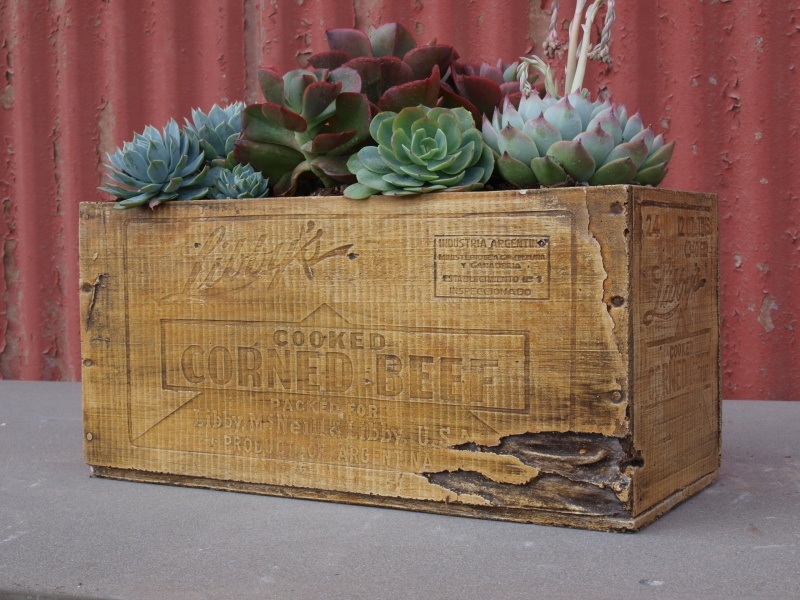 Concrete seemed like the best choice to preserve these antique crates forever. With a little creativity, forming and creating the rubber mold was soon coming into place. The tricky part was finding the crates with the most embossed signage/wording as well as whatever brand you fancy so that each crate comes out with every detail in the concrete. Details like termite damage (yes, we know those pesky pests are no stranger to wood) or even down to the nitty gritty scratches, dings and the original hardware that kept those boxes together.